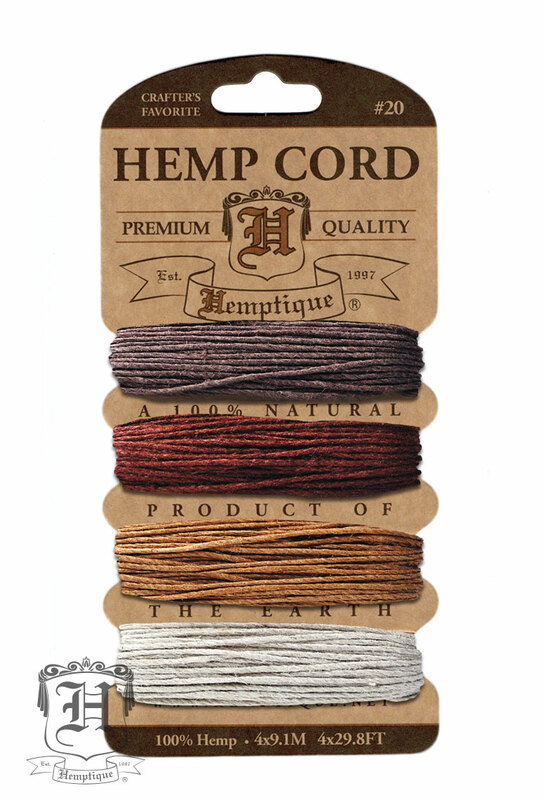 New Hemp Cord Cards from Hemptique! 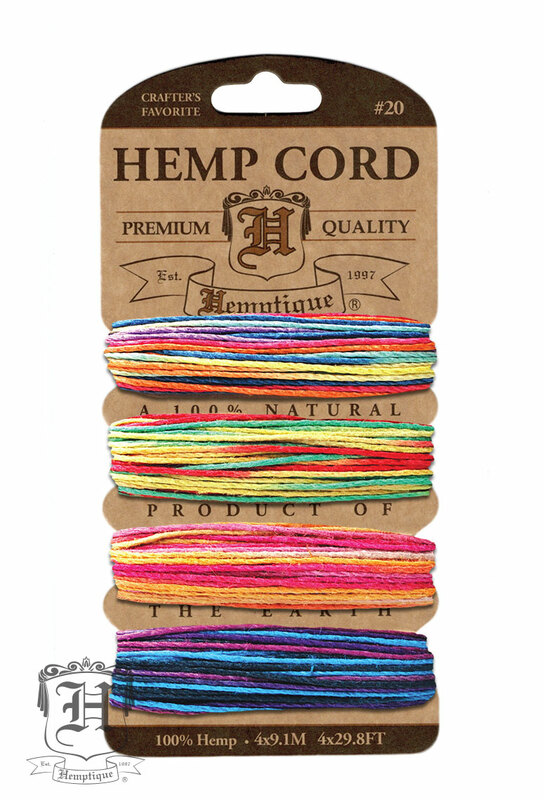 We've just added a big variety of hemp cord cards from Hemptique! Each card features 4 different colors of 20 pound strength twine in lengths of 29.8 feet (9.1 meters). These are great for beading and jewelry making! Smooth six strand polished cord is perfect for all crafts and hobbies including macramé, scrap-booking, jewelry, gardening and beading. Dyed with non toxic certified AZO free dyes, you can use hemp cord as a stronger alternative to cotton or synthetic twine.